While Optimus Futures provides multiple datafeeds for execution, many traders supplement it with the DTN IQFeed, a real-time, streaming quote and news service with data direct from the exchanges. As a Tier One Data Vendor, iQFeed is one of the very few data providers that still receives the full feed (every tick) direct from the exchange. Many other data feeds will bundle or consolidate their data while some only send out data on a refresh cycle. 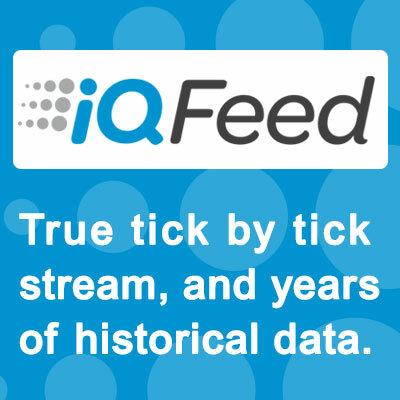 This means that their customers aren’t receiving the same true tick by-tick-data that iQFeed provides. Without true tick-by-tick data, charts and technical analysis programs aren’t as accurate, and could give false buy-sell signals that end up costing you money in bad trades. IQFeed also owns and manages their own datacenter without relying on third parties or co-location facilities. By controlling fully redundant systems, they are able to react before an outage occurs. Many 3rd party quote vendors don't have the infrastructure and bandwidth to handle today's high volume market. iQFeed’s Quad Redundant ticker plant was built with today's technology, providing traders with fast and reliable data. DTN also seamlessly integrates to multiple 3rd party platforms. Many traders use one platform for analysis, one for execution, and maybe even another for specialized data processing. 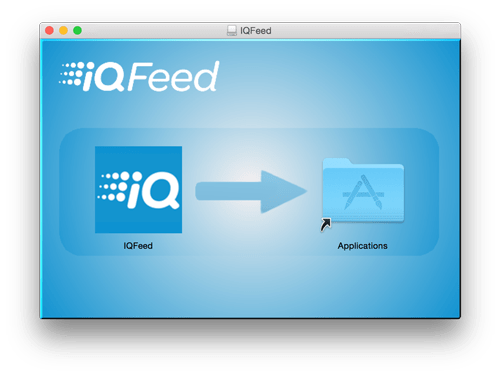 A large number of customers also use the IQFeed API to write their own algo's and trade routines directly to the feed. Several years of minute history: Data going back as far as 2005 and building every day. Not only does this include continuous contracts, but they also have back adjusted/normalized continuous contracts. True tick by tick data (no filtering, no aggregated ticks, etc): You see every quote and every trade from the exchange. This is critical if you want to accurately look at volume analysis, bid/ask analysis or trade rates. 180 calendar days of tick data: It’s a lot of data, but when you need to backfill ticks, iQFeed not only provide the trades, but the bid and ask at the time of trade also. This is fantastic for traders doing buy/sell pressure analysis. Over 700+ market breadth indicators such as TICK, TRIN, ADVANCE/DECLINE, PCRATIO, Equity Only PCRATIO, and many more. This includes options scans, index scans, etc. They key here is that they update every 1 second. You can’t get this data with broker feeds, and other commercial vendors only update this data between every 5 seconds and 1 minutes. Four free live market newswires, including the Premium version of Benzinga News (a $39/month value). Other popular newswires are also available to add. DTN IQ will also waive the normal initiation fees for Optimus Futures customers.